LIBERTYAIR is a leader in Gainesville for providing heating and cooling system installation, maintenance and repairs. Our technicians are often asked whether gas furnaces or electric heating systems are better for Florida homes. Because we install, service and repair both types of systems, we understand a homeowner’s concern for wanting to choose the best heating solution for their home. 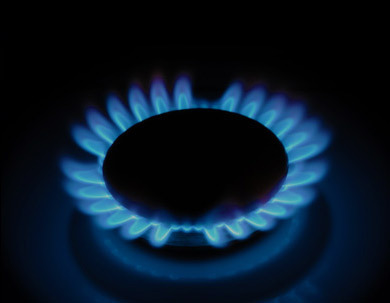 Which is better to heat your home: gas or electric? While LIBERTYAIR technicians can help you determine which type of heating system will suit your home’s needs, the choice is ultimately yours to make. We hope the following tips can alleviate some concerns and answer some of the most common questions we hear concerning the advantages of electric and gas heat. Electric heating systems can include heat pumps, central heating and electric furnaces, all of which are popular ways to heat your home in North Central Florida. Each type of heating system works a little differently, so before you choose, make sure the type of heating system will heat your home to your satisfaction. Heat pumps can heat and cool a home, making it a more versatile alternative to gas furnaces. Central heating systems use the same ducts as the air conditioner. Both heat pumps and central heating systems can use refrigerants. Heat pumps may also use water to warm the air, and central heating systems often rely on heating elements to warm the air. If you are used to a gas furnace, then air warmed by electric heaters may feel cooler than you expect. Electric heating systems can sometimes irritate sensitive, dry skin. Electric furnaces are very efficient, reach almost 100 percent efficiency. However, in many areas, electricity is more costly than natural gas. Electric heat pumps do not burn fossil fuels. Furnaces have been used to heat homes across America for a long time. So it’s easy to understand why many homeowners are not aware of energy saving models of newer furnaces. Is your home currently equipped with the necessary gas lines? If not, installing new lines will be an additional cost to your heating system. In what condition are the gas lines? Rusted or damaged gas lines can be dangerous. Make sure your home is set up for the safe distribution of natural gas. If you don’t already use natural gas in your home for other appliances, then adding a natural gas furnace will also add a utility bill. Some costs may apply for opening a new account with a natural gas provider. The air will feel warmer with a natural gas furnace than other types of heating systems. Natural gas can heat air up to 25 degrees warmer than electric systems, which is something to keep in mind when choosing the right heating system for your home. The way you choose to heat your home can be an important step in homeownership. The opportunity to choose the type of heating system gives you full control of the convenience and cost of heating your home. No matter which type of heating system you choose, make sure it can properly heat the space you have so that your family stays safe and warm all winter long.